Although all investment managers in active funds try to beat the market, most of them fail and get outperformed by index trackers. However, there are a few highly-skilled and experienced managers, who regularly beat the benchmark. 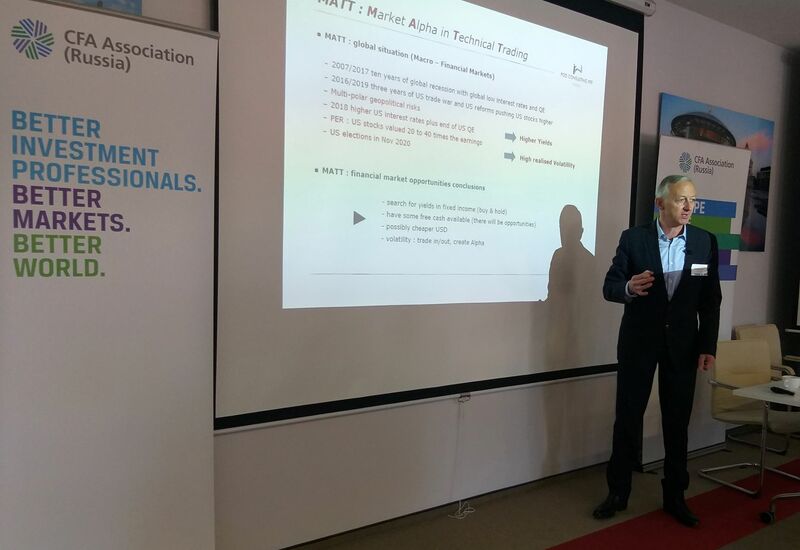 CFA Association Russia invited one of these experts, Philippe Delmotte, a CEO of POD Consulting FFF, to a business breakfast to give his advice on getting market Alpha and outperforming the market. 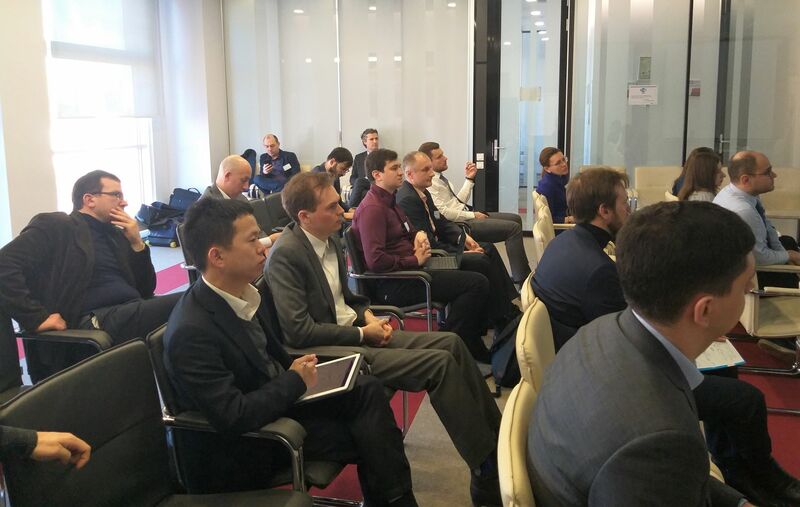 The event was held at the Mazars Russia office on March 27. To get a positive Alpha, managers should be closely following global political and economic trends. A single major event in the United States or China may lead to a volatility and unpredictable fluctuations in security prices, Philippe explained. During the bulk of his presentation, the speaker spoke about various charts used in technical trading, including the Fibonacci indicator, Elliott Waves and Moving Averages, as well as some key takeaways from each of the charts. It is a good idea to rely on a few different indicators when making investment decisions. I prefer to use at least three charts to make a decision,” Philippe said. However, some traders may or even should avoid using some of the above-mentioned techniques, Philippe added. For example, the Elliott Waves is not the best tool for inexperienced traders. In this case, traders could use the Relative Strength Index (RSI). In other words, successful traders should always have several cards up their sleeve. “If I am not good at using one technique, I pick another one,” Philippe explained. The entire presentation was held in the form of a dialogue with guests being able to interrupt the speaker and ask their questions, turning the event into a live debate format. To watch a full video of this presentation and get access to all videos from previous events, please join CFA Association Russia.